You can help prevent fires, burns and electrical shock by beginning your year-round electrical safety awareness efforts now. “Despite the reality that enhanced product safety engineering, standards and electrical codes have reduced electrical hazards, thousands suffer from electrical shock and fires each year,” said ESFI President Brett Brenner. To increase electrical safety awareness and shield those at home and in the workplace, ESFI has developed an electrical security tool kit which includes statistics on electrical dangers and recommendations to prevent electrical shock, burns and fires. 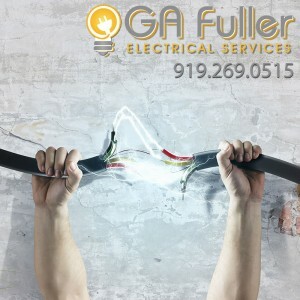 An average of 400 people are electrocuted each year and thousands more are injured because of electrical hazards. To control the leading cause of electrocutions each year, note locations of power lines at home as well as at work. Power line contact with construction gear and things such as ladders and gardening tools are among the leading causes of electrocutions. Watch where water sources are and where your cords are. If there is water in the area, you increase you risks immensely. All it takes is a split second of water contact to really change the whole, “Am I going to get zapped?” outlook. Greater use of ground fault circuit interrupters (GFCIs), which protect both those in your home and workplace against fatal electric currents, can further reduce the number of electrocutions. As above with the water contact, GFCIs can clamp down and interrupt that power short in milliseconds – and save lives. Without a doubt, GFCIs should be anywhere there is the possibility of water contact – bathrooms and kitchens in particular. Estimates suggest electricity causes 140,000 fires each year, which kill hundreds of individuals, injure thousands more, and cause $1.6 billion in property damage. Aging electrical systems, combined with the growing power demands, contribute to electrical fire hazards. Overloaded circuits, flickering lights, and electrical outlets that are discolored and light switch faceplates point to the demand for electrical upgrades. Addressing these dangers cut economical losses caused by electrical fires and can save lives, reduce injuries.